"I wanted to take this opportunity to thank you for the excellent support that Susquehanna Valley Sound & Video has provided to our court." "I am happy to report that the new system resolved all the problems and sounds better than ever. I also want to commend you for the handling of the numerous service calls that we requested from you this past year. Your company's prompt response to these problems helped ease some potential problems that we might otherwise have experienced." "Along with good wishes I would like to thank you for the help you have given us over the years. Not only have you always been there to answer my many questions, you have been most helpful and prompt with resolutions to our sound and video needs. The congregation is quite satisfied with the results of our latest audio expansion and we all look forward to adding the video components that you have recommended. "I have known Ky Mahaffey and Gerry Bogart from SV2 for close to 12 years. 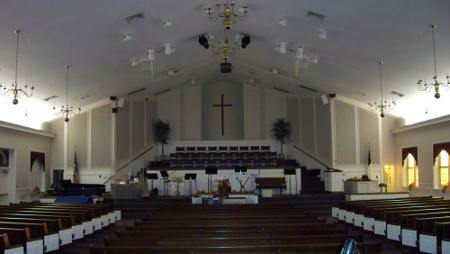 They have maintained, serviced and upgraded the sound systems (2) at Berwick Bible Church. For approximately 10 of those years I worked with Ky and Gerry while they were with their former employer. The reason I continued to do business with their employer during that time was because of Ky and Gerry’s expertise in the field. I would call them “directly” and knew that I would get the help I needed and get straight answers as well. 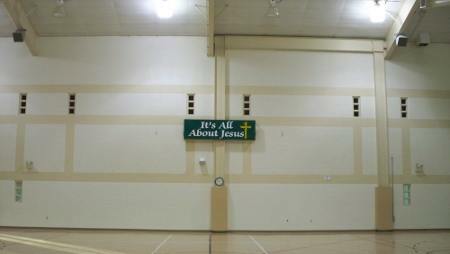 They worked with Berwick Bible Church through 2 system upgrades and added a sound system for our activity center/gym. 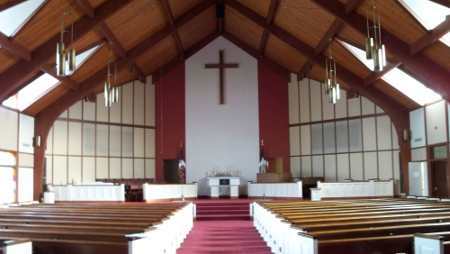 "Watsontown UMC had previously added a sound system and went with the lowest bidder. Like the old adage, you get what you pay for, could never have been truer. With Susquehanna Valley Sound & Video, LLC and especially Gerry Bogart, we found the right mix of price, quality and service. Gerry worked as long as necessary to make sure things were done right and worked into the night to have our system up for our Christmas Cantata. "I just wanted to share with you a few things out of a heart of appreciation for a job well done. You did an excellent job in selecting the equipment with the greatest quality to fit into our budgeted monies. I greatly appreciate the consideration in not over pricing your jobs, and your willingness to work with our media teams. Your professionalism in the installation process exceeded my expectations. 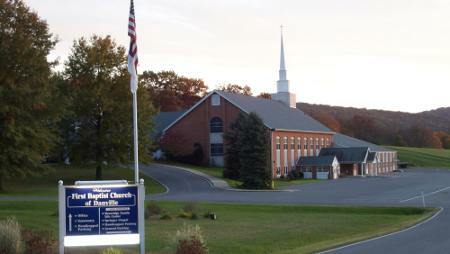 Susquehanna Valley Sound and Video has installed sound systems for a variety of organizations and applications. 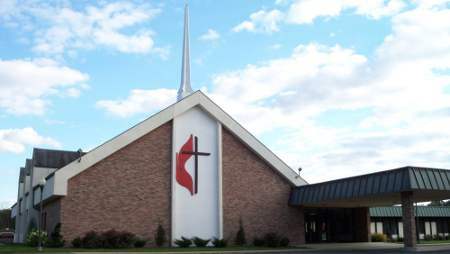 We have installed audio and video systems in churches, auditoriums, athletic fields, and state & federal courtrooms throughout Pennsylvania, Maryland, New Jersey, and New York. The photographs and letters of recommendation are a few examples of our satisfied customers. Shown is phase one of a three phase system upgrade. 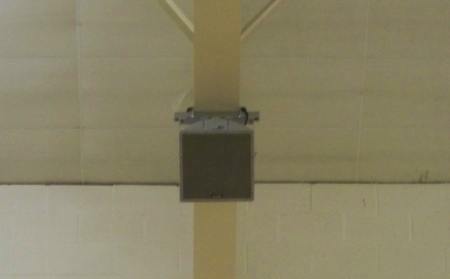 Replacement of the Main Sanctuary and Narthex speaker systems. A complete rewire with phase two and three upgrades in mind. Four Ace Backstage floor boxes were cut into the cement floor and conduit installed with the assistance of Miller Electrical Contracting of Boalsburg, PA. Phase 2 was completed in early 2010 with the replacement of analog electronics to digital system processing with automatic microphone mixing, replacement of the mixing console, and wireless microphone upgrades. Phase three of the upgrade is already in the planning stage. Full Sanctuary sound system upgrade. 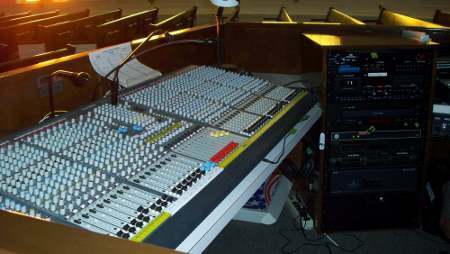 48 channel mixing console, main speakers, amplifier/ DSP upgrades, wireless microphones, and Ace Backstage floor boxes . A transformer isolated split for radio broadcast mix was also included. Most recently ( Oct. 09) a replacement of the audio system in the Beveridge Family Life Center including 2 Community R.5 speakers, Ashly audio mixer, Ashly Audio Amplifier/DSP. 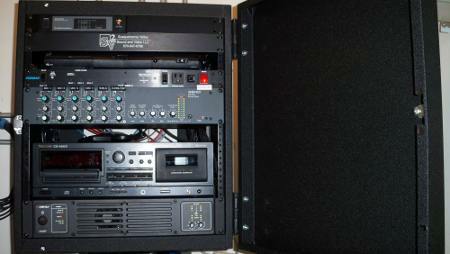 Complete system upgrade including 40 channel mixing console, main, monitor and subwoofer speakers. Ace Backstage floor boxes.